So, uh, remember there was all that Arnold Schwarzenegger drama back in the day, about a child he had with his housekeeper? Back around 2011 and 2012, it was all over the tabloids — after all, he was a married man during the time of the incident. But fortunately, Arnold managed to work everything out and be supportive of his son, Joseph Baena. Born in 1997, Baena is currently 19-years old. And wow, he looks a lot like his dad. While Schwarzenegger doesn’t normally share too many private photos of Baena, he decided to share an amazing one in honor of his October 2nd birthday. The pair went to Schuetzen Festzelt in Munich, Germany, and — since the legal drinking age in Germany is 16 — Baena was able to have a beer with his dad. The two dressed up in traditional lederhosen, which makes the photo even better. But, the sweetest part of all, is that Schwarzenegger paid his son a few hefty compliments in the caption of the photo. Great student, great athlete. I'm proud of you and I love you!" he wrote. How amazing is that? Obviously they’ve developed quite a strong bond over the years, and it’s incredible that Schwarzenegger is doing the right thing and getting to know his son. 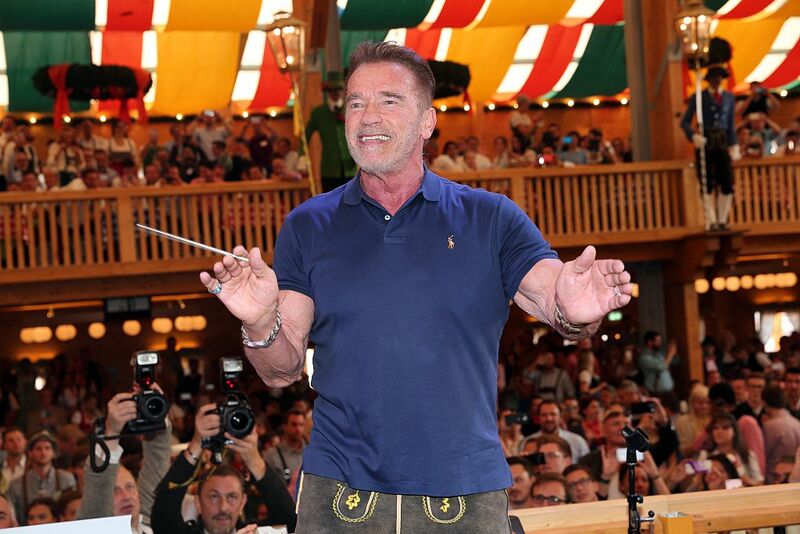 Speaking of Schwarzenegger, he’s got a lot on his plate for this upcoming year. For one, he’ll be hosting The New Celebrity Apprentice, which will air in January of 2017. Tyra Banks and Jessica Alba are just two of the big names that are set to compete, and we think the reboot will give the series a lot of life. Hopefully 2017 will bring even more memories and photos with Baena as well!